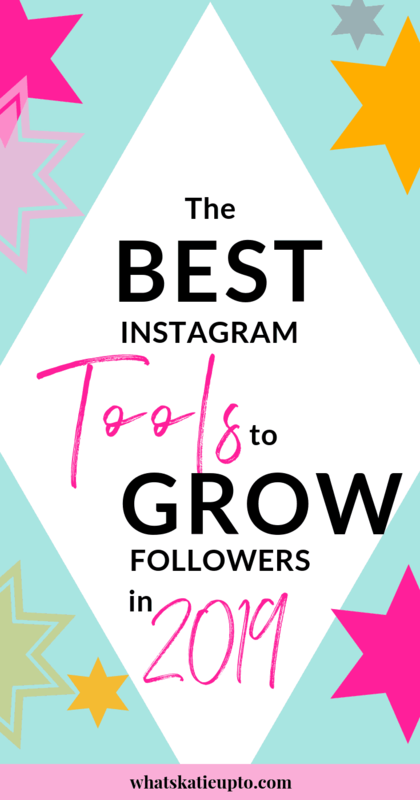 Here are the 45 Best Instagram Tools I could find online to grow your followers, increase the engagement on your posts and analyze future trends before they are known to the masses. Instagram is one of my favorite social media and, personally I feel like it’s popularity has just gone through the roof in the past few years. I figure exactly due to this increased popularity a lot of people start to really take Instagram seriously and find new opportunities to grow their audience, but also grow their business opportunities and sales. This is why I have put together this list of the 45 best Instagram Tools I personally use on a daily basis but also a selection of apps and more advanced tools for business. If you enjoyed the post and tools I collection in this post, would you be so awesome and share it with your audience on social too? Thank you so much, you rockstar! Magic Social is a service which helps you grow organic Instagram followers. You are connected to a dedicated growth manager who will reach out to people within your Instagram niche. You just let Magic Social know which Hashtags, other Influencers, or locations are relevant to you, and your growth manager reaches out to people matching your criteria. Their lowest rates start at $15/week but you can get an even better price if you choose the monthly or yearly plan. On Fiverr you can hire an Instagram Assistant or Social Media Expert at very competitive rates. There are amazing people on Fiverr and I personally work with experts on Fiverr all the time. 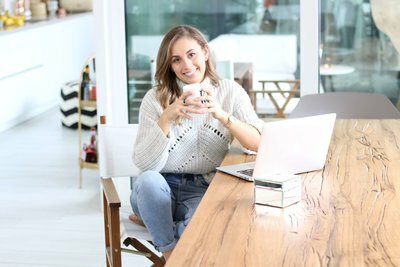 From managing and growing your entire Instagram account to helping you write Captions, create videos, Instagram ads or Influencer Marketing you can find someone to help you out. I have seen Fiverr rates as low as $5 for helping to manage your account. Personally, I love to work with “FiverrPro” expert which are verified expert in the area. A bit more expensive but usually totally worth it. Unleap is another service which helps you grow your Instagram followers. As soon as you sign up, they match you with your own account manager. You answer a few questions to help them understand your ideal target market and then they basically take over helping you to get more organic and real followers. Unleap Light Service starts at $39/month but you can start your FREE Trial here! Tailwind is what I use to plan, schedule and optimize my Instagram account. It’s easily one of the best Instagram tools I use on a daily basis. With this Instagram approved Tailwind scheduler, you can easily set up a plan how much and what you want to post to Instagram. Then Tailwind will automatically choose the best time to post and auto-post it to Instagram without you lifting a finger. My other favorite feature is their hashtag generator. Once you upload your image to Tailwind and write your caption, the tool will provide you with color-coded Hashtag ideas. Green for less competitive, Red for more competitive Hashtags. I mean, I could go on and on about Tailwind but let me just say this: I USE IT EVERY DAY! Get a FREE month of using Tailwind HERE! OnlyPult is another easy to use Instagram Scheduler. You simply upload your images on your computer to OnlyPult and schedule them and the service will automatically send out your posts to Instagram at the time you selected. It also includes analytics and is great for teams to work on several accounts. Hootsuite is a management, scheduling and reporting program for all of your social media. This means you can handle Pinterest, Instagram, Facebook, and Twitter all from one account which is amazing. Personally, I am using Tailwind for my Instagram scheduling but then use Hootsuite for scheduling posts to my Facebook Page, Facebook Group and Twitter account. It also comes with a 30-Day FREE Trial which is amazing! Start your 30 Day Free Trial here! I personally love Later. Later currently offers three main products for Instagram: Scheduling posts, Analytics and Linki.bio. 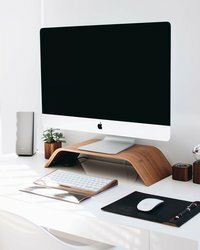 There are amazing features on Later but I also love their Blog where you can find a ton of useful Instagram Hacks and Tips and stay up to date on the newest trends and changes. You can start the basic version of Later for FREE here. Buffer is a very well known social media scheduler and you are for sure not going wrong if you are using it for your Instagram account. It includes scheduling posts, analyzing performances and managing all your social media account in one single place. It’s also super easy to use! Buffer comes for free for up to 3 social accounts including Instagram. Check it out HERE. SkedSocial is another advanced Instagram Scheduler with a ton of impressive features. It works really well for Teams who manage several Instagram accounts, tracking your ROI to see what works and what does not, it’s own photo editing, location, and product tagging and their own app. Check out SkedSocial FREE Trial here. AgoraPulse is the most affordable and best Instagram Tools for Small Businesses, Teams and Agencies. You can schedule, engage, post and monitor all your Instagram movements within the Dashboard as well as all your other social accounts. Additionally, AgoraPulse has amazing analytics feature you usually have to pay for separately and their vibe is super friendly and fresh. If you have a team or small biz this is for you! Starting at $39/month. You can test it for 28-Days for FREE here. Sprout Social is an advanced social media management software for businesses. Their focus lies with building deep connections with the people who love your brand. Now, its one of the most sophisticated software I have seen, you could use to manage your Instagram account. Sprout Social includes Social Management, Social Analytics, Social Engagement, Social Publishing, Social Listening and so much more! They are an official Instagram Partner program and help over 25’000 business already to manage their Instagram and Social Accounts. Sprout Social starts at $99/month and you can start your 30-Day FREE Trial here. Sendible is atheNo.1 Social Media Management Tools for Agencies. So maybe you have an agency or you’re are an Instagram Assistant and you want to manage several Instagram accounts of your clients in one place, then Sendible is for you. It helps you be more productive by managing all clients activities from one centralized hub. Creative Market is definitely one of the best Instagram tools of this list post. On Creative Market you can basically buy more than 4’000 Instagram templates designed by a professional designer to elevate your posts and profile. From a design perspective, I have never found more beautiful and high-end design templates for Instagram than on Creative Market and the variety and quality of templates for Instagram posts and stories literally blows my mind. If designing Instagram posts is not your strong suit or you are looking for a new look of your profile get your inspiration from Creative Market. Prices for a set of 10+ Templates for Instagram usually start at $15+. Check out my secret Instagram weapon “Creative Market” HERE NOW! Canva is a free design program I use almost daily to create Instagram posts or Instagram Story Templates. It is very easy to use and you can download your templates for free after designing them. Canva also offers ready-to-publish Instagram post designed by professionals you can customize and then use on Instagram. Canva is truly such an allrounder product for designing all kinds of resources you need for Instagram but also your other social media. Ps. From what I have seen there are over 6000 pre-designed templates you can use for free for your Stories and posts, it’s almost too good to be true. Check out Canva for FREE here. Adobe Spark is another great free design program and app you can use to create graphics posts for Instagram. It allows you to experiment with different images and type styles, themes and layouts as well as filters and colors. I especially love to use this program to design gorgeous Instagram Stories including big fonts and call to actions. You can have a look at Adobe Spark HERE. With Contact in Bio, you can connect all your links and social media profiles at one page. Convert followers into customers with a micro-landing page. It also helps you to establish contact with your followers through one bio link. Contact in Bio is honestly a winning product which will make your Instagram life a lot easier. You can start creating your mini Landing Page for Instagram HERE for FREE! Bio.fm is a beautiful way to share more of your amazing online content with just one bio link. You basically start by setting up a mini page you can create with Bio.fm. You choose from loads of different option then import your content and adjust your profile by dragging your block up and down. Then you add the link to your Instagram profile and once someone clicks this link they will see your mini-page including all your other amazing content from other social media and your website. Bitly can be used to shorten any weird looking or very long URL into a nice short bit.ly link you can use in your Instagram Bio. What I like to do is to additionally customize the link with an ending I like something like “Bitly./CheckThisOut. A staple in my Instagram Toolbox. You can start using Bitly for FREE here. IconoSquare is one of the best Instagram Analytics Tools out there and used by over 24’000 users and agencies. You can improve your social growth by using insights you get from the platform to grow your audience. IconoSquare is by far the most advanced and best Instagram Tools I have seen on the market. Test IconoSquare’s Instagram Analytics and grow your audience HERE! Social Insider is another one of the best Instagram tools to use and I personally love it. With Social Insider you can discover how to rank on Instagram against your top competitors. It gives you a glimpse of their content performance, when they post, their engagement metrics since the day the page or profile was created, and their overall digital strategy. How freaking amazing and game-changing is that? Start your FREE Social Insider Trial HERE now! Social Baker is a AI (artificial intelligence) – Powered Social Media Marketing Suite. Find out who are the right people to target within your niche. Boost your results by understanding the content your audience actually wants and finds engaging. It also includes a full scheduler over several Instagram accounts plus all other social media. Services for Social Baker start at $200/month, you can get your free trial HERE. Social Rank is another analytics program which focuses on your audience. It’s the easiest way to understand your audience by sorting and filtering them into groups and analyzing the patterns to create more engagement on your Instagram posts and grow your followers. Have a look at SocialRank HERE. Union Metrics provides analytics for marketing teams to build an effective Instagram social strategy. It includes Profile Analysis, Keyword Listings, Campaign Reporting, Competitive Analysis, and Research. It’s an advanced social media analytics tool perfect for agencies a bigger business. Union Metrics starts at $49/month for Social Manager. Check it out HERE. Keyhole is one of the best Instagram tools to track to understand how millions of people engage with your content and campaigns across Instagram. If you are running Instagram Ads you can use it to track your campaigns. If you want to understand how your audience feels about your brand and your competitors, Keyhole helps you to easily grasp any conversation around it. You can start your Free Keyhole Trial HERE! I am using SnapWidget on my Showit site to display my Instagram Feed at the bottom of the page. It’s simply the easiest and most variable plugin I have found to display an Instagram Feed on your Website. You can decide on your own how many rows and columns you want as well as if you want to include descriptions and like numbers. Also with SnapWidget, as the name says you include it into your website via widget and BOOM you are done! Check out SnapWidget for FREE here. POWr.io offers several Plugins you can use on your website or blog. With one of the Plugins, you can design your custom Instagram and Social Media Icons to fit seamlessly into your site with custom colors, fonts, sizes, and effect. Or, display your Insta Feed with their customizable grid layout plugin. It’s very easy to use and integrate seamlessly into your website. You can start with the POWr.io Light Version which is FREE here! Juicer.io is a simple and one of the best Instagram tools to aggregate all of your brands hashtags and social media posts into a single beautiful social media feed on your website. It’s super simple to use, you just add all the accounts and hashtags you want to show up in your social feed and then add it via embed code or plugin to your website. IZEA is a marketplace where Influencer are matched with paid opportunities of successful brands. You can also monetize your content and connect with brands and advertisers for sponsorships on Instagram and your other social media. You just create a free profile and get the opportunity to partner with industry-leading food, fashion, and lifestyle brands. Start partnering with brands and setup your FREE profile HERE. TapInfluence is a platform which connects Influencers with Brands to promote their products on their social accounts. You basically set up your free profile and then add the rates you would like to receive per Instagram post or other social media post. Ideally, you add more details about your personal brand and content so you’ll be better matched to companies looking for the influencer. If a brand is interested in you they will send you an invite to their paid campaign. Curalate lets you use social content and audiences to sell more effectively online. If you want to make your Instagram feed shoppable, and leverage user-generated content then this service might just be right for you. Basically, you select a bunch of content and tag the products you want to sell. Then the service helps you to optimize this to sell even more. With brands such as WholeFoods using it, it’s definitely an advanced player in the field. To see a demo of their product HEAD OVER HERE. Have2Have.it let’s you create a shoppable, curated page that has the same look and feel like your brand’s Instagram feed through your bio link. So if someone finds your feed and wants to buys the product you recommend in that post they can click your link and are redirected to your curated page. You can try out Have2Have.it for free for 30 days HERE. Hashtagify is an advanced and one of the best Instagram tools to track Hashtag. It allows you to find the best hashtags to reach your audience, gives you custom suggestions, and helps you get to know your influencers and competitors better. Try Hashtagify HERE. Use TopTager to easily find a list of trending or relevant hashtags to use in your Story or Instagram Post. Check it out this free tool HERE. Use Webstagram to find the most popular Influencer and Hashtags on Instagram which will make your posts go viral. Check it out HERE. Another very easy to use the Instagram Hashtag generator. Type in a few Hashtags to begin and then new Hashtag ideas will appear and spammy tags will be filtered out. Have a look at Display Purposes HERE. VSCO: VSCO is an app and one of the best Instagram tools I use regularly to edit my Instagram images. You can use their powerful presets and editing tools to make beautiful photos and videos straight from the app. Repost: Repost for Instagram makes it easy to repost your favorite photos + videos on Instagram while giving credit to the original Instagramer. InstaQuote: InstaQuote is the best quotes and sayings pics app! This Quotes app includes 70000+’s of famous and best quotes and sayings. Over: With Over you can create beautiful Instagram Stories. Choose from a gazillion of royalty-free hand-picked photos, fonts, graphics, templates, and tools to filter, blend, mask, and blur like a pro. Afterlight: Afterlight is a perfect image editing app for quick and straightforward photo editing on your App. Photoshop Express: With Photoshop Express is an awesome app you can create awesome looking photos and collages with quick and easy step used by millions of creatives worldwide. PicFlow: PicFlow lets you make your own amazing video slideshow in just a few simple taps. It mixes your photos and music into a fantastic shot video slide you can use in your Instagram Stories. AutoHash: If you are tired of adding hashtags manually on Instagram or searching for the best Hashtags, you can use AutoHash to find the best Hashtags without any effort. Tagboard uses hashtags to search for and collect public social media posts within seconds of being posted. After, the selected posts can be displayed on Broadcasts, TV, or websites. I really hope you enjoyed this post, just took me a freaking lifetime to put together 🙂 If you did like it, please take the time to share it on one of your social. Would mean the world to me!